In the comics universe (not the Marvel Cinematic Universe), what material is this made out of? Gold? Cloth? Some exotic metal in the Marvel Universe? We never get any mention of what it's made of in the comics but we do know it is a piece of his suit so it's probably the same material as that. When the number of living things in the universe becomes greater than the number who have died, Mistress Death tasks Thanos with correcting the imbalance by killing half of the universe. The Silver Surfer learns of Thanos' goal and opposes him, so Thanos fakes his own death to proceed without interference. While doing research in Death's realm for the most efficient way to fulfill his task, Thanos discovers the six Infinity Gems, powerful objects he had previously used as weapons, can grant their owner more power than he had understood before. Each gem has control over one facet of the universe - Space, Time, Reality, Mind, Soul, and Power. He journeys around the universe collecting them, adding them to his left gauntlet. Once assembled, he visits Death hoping she will now talk to him as an equal. Instead, she continues to speak to him through an intermediary because he is now her superior. Although we are never told the exact material we do know that it is very strong not even a full Cosmic attack will break it. Thanos has faced the firepower of entire armies and brushed them off. 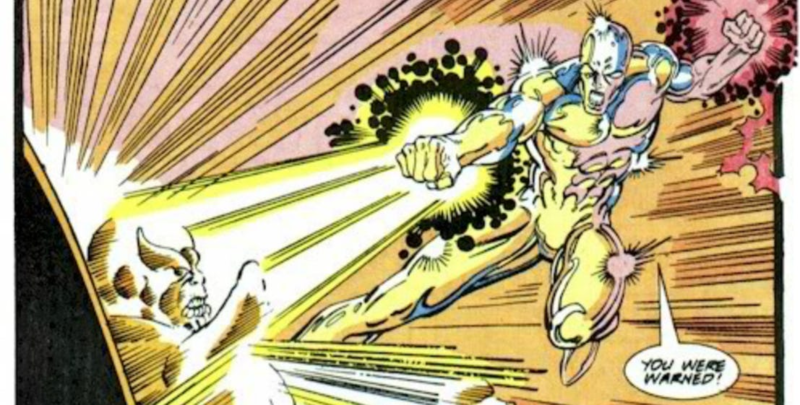 When we go to cosmic beings, we can look at Silver Surfer #35 in 1990 (Ron Lim, Jim Starlin) where the former herald of Galactus released the full force of his Power Cosmic on Thanos. Not only didn't it break through Thanos' armor, he didn't even flinch. Below is the list of the candidates for the possible materials his Gauntlet/Armor is made out of (these are the strongest materials in Marvel). Here is a quote from another SFF.SE post about it. Enchanted uru is not made or normally found on Earth and is both more resistant to damage than normal uru metal but it is not indestructible. It's durable and can be enchanted to be even more damage-resistant but its primary benefit is the ability to bind amazing enchantments to it. So these are the two most probable candidates. Not the answer you're looking for? Browse other questions tagged marvel comics infinity-stones or ask your own question. Can Thanos pick up Mjolnir after wearing the infinity gauntlet? 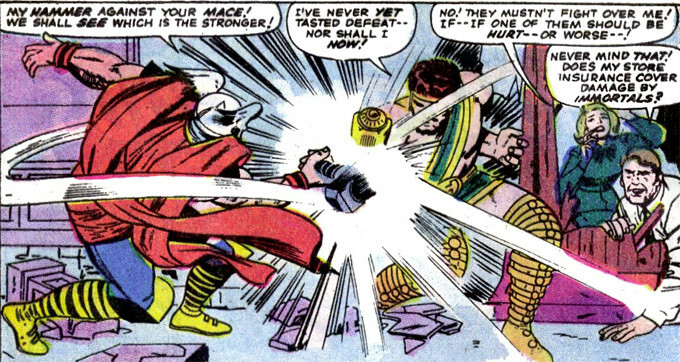 What, if anything, do comics suggest about what happens to Loki in Infinity War? 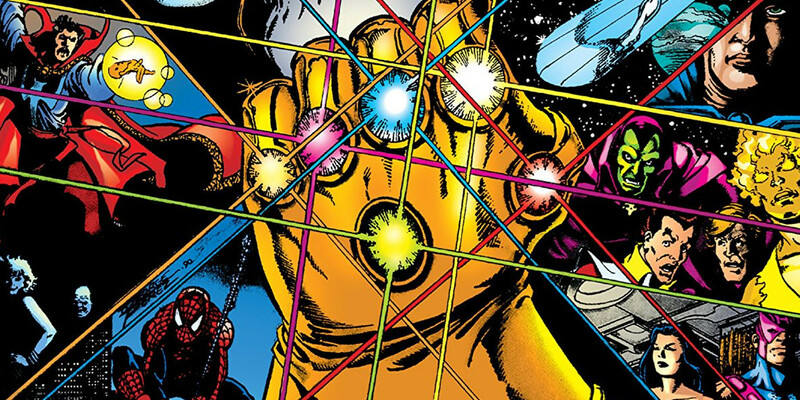 Is the Infinity Gauntlet still usable after the events of Infinity War?